Information — Creative Stoneworks Inc. Granite makes a beautiful choice if you're looking for a strong and durable stone countertop. Granite is not as porous as other natural stones. It's high density allows you to eliminate cutting boards and trivets. Granite is extremely hard and durable, and is practically scratch proof. Hot cookware can be placed directly on the counter surface. Granite countertops are easily cleaned because of granite's low porosity. Granite is a type of igneous rock, which means it was once molten and it formed as it cooled deep within the earth. Different minerals within granite may appear as small specks and flecks throughout the stone, creating the salt and pepper look. Other types of granite may have veining similar to marble with dramatic composition and color. It can be highly polished and shiny, honed (a mat finish), or in a variety of new textures. 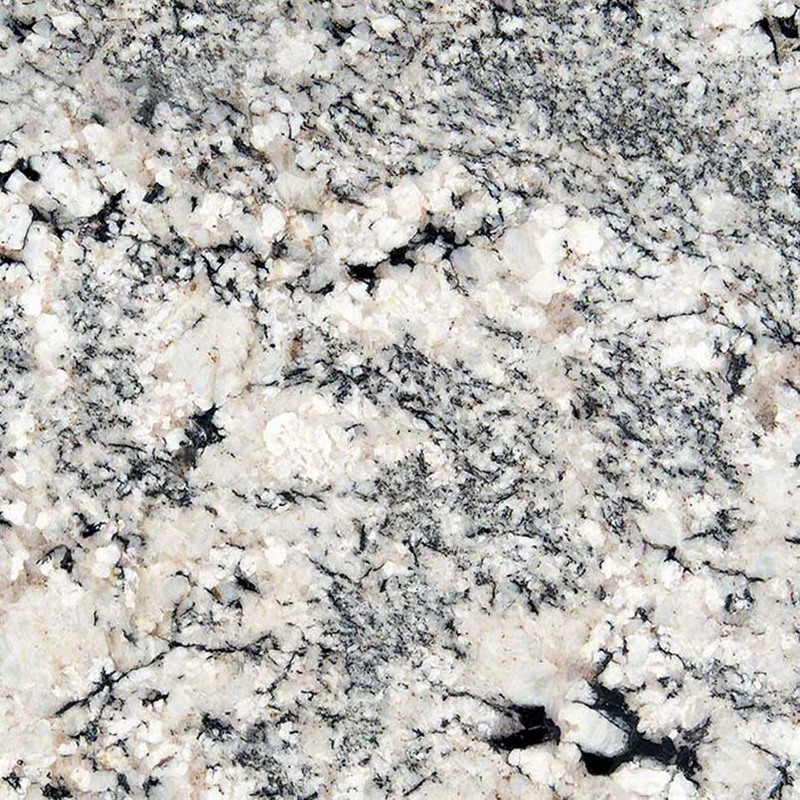 Granite is available in hundreds of colors. Marble is a smooth countertop material with a traditional, classic appeal. Its cool surface is ideal for baking and rolling out dough. Marble is less durable than granite and is susceptible to scratches and stains, so it may require future sealants. Soapstone can be treated with mineral oils to enhance colors, and offers a soft feel. Soapstone appeals to homeowners who want something just a little different. Soapstone is an alternative with a unique "soapy" texture, but it is more susceptible to stains and scratches and therefore is best suited for lower impact areas such as bathrooms. Onyx is a natural stone that is considered to be semi precious. Onyx is available in a color range from white to deep green. Due to its translucent appearance, this stone is particularly stunning when backlit. It is quite a soft stone similar to limestone and will scratch and stain easily. Engineered stone is composed mainly of quartz although other materials like colored glass, shells, metals or mirrors may be added. Typically, engineered stone is made up of 93% quartz by weight and 7% resin. Different types of resins are used by different manufacturers. Epoxy and polyester resin are the most common types. Chemicals such as UV absorbers and stabilizers are added. Engineered stone is available in a large range of colors and has a nonporous surface that resists stains. However, engineered stone is susceptible to scratches and heat damage, therefore the use of cutting boards and trivets is recommended. Creative Stoneworks offers many brands of engineered stone, including Silestone, Caesarstone, Spectrum Quartz, Wilsonart, MSI Quartz, Pental Quartz and Teltos Quartz. Other varieties are available, please ask contact us to determine if your favorite brand is available. This rounded edge detail gives a timeless classic look and is great for traditional kitchens. This edge is a sophisticated S-shaped curve that provides a classic look perfect for traditional kitchens. This squared edge with “eased” corners is an excellent choice for the simple lines of a contemporary design. This edge also helps counters appear thicker. This edge profile offers a mix of natural and rustic. The unique treatment of this edge is what makes it so enticing. This edge joins at a 45-degree angle to form a distinct edge. It can help counters appear thicker and can work well in either a modern or traditional kitchen. This edge is a soft curved profile that isn’t too far off from the traditional bullnose edge. This edge is appealing because of it’s simplicity and works well with more modern designs. Granite, marble and other natural stone products are porous materials and therefore require sealing. Every Creative Stoneworks top is sealed during fabrication and again upon installation. For residential use, we recommend that the surface be cleaned using REVITALIZER, a cleaner and sealer reactivator, designed for use with natural stone at least once or twice a month (however many customers prefer to use this product as their daily cleaner). This product reactivates the sealant used by Creative Stoneworks which eliminates the need for customers to reseal their counter tops and is as simple to use as glass cleaner. Quartz is man-made and is not sealed. Daily Cleaning - A simple solution of warm water and regular dish soap is the perfect solution for day to day cleaning purposes. For a simple spray and wipe cleaner, Method Daily Granite is a recommended, easy to use product. Products to Avoid & Other Care Tips For the best care of your stone, please avoid cleaning agents with ammonia, acid or wax in the ingredients. Many over-the-counter granite cleaning products (such as Pledge and Rock Doctor) include these items in the solutions which can result in damaged stone, stripped sealant or waxy build ups. Acidic foods and liquids such as lemon juice or wine spills should be wiped up quickly as a precaution. If using scrubbing pads to clean your counters, please note that some such as the green Scotch Brite Scouring Pads contain silica which may affect your stone's surface polish. Please make sure that you are using a non-scratch variety of scouring pads like the blue Scotch Brite Non-Scratch Scour Pad. Remember hot cookware can placed on natural stone like granite or marble but not on quartz or it may scorch. Is granite safe to use in my kitchen? In a word, yes. There has been some misinformation circulated by competing industries attempting to raise concerns about issues such as bacteria and radon. We would be pleased to share the research that shows that these concerns are not only unfounded but granite actually ranks second to stainless steel in a study measuring the bacteria resistance capacity of six common counter top materials. Like any solid surface, high impact blows can harm granite. Because of its crystalline structure, it can chip if subjected to hard objects. Unsealed, granite can absorb stains such as oil, which can ultimately cause dark spots or discoloration. All granite installed by Creative Stoneworks (unless specified otherwise by a customer) is sealed twice, once prior to leaving our shop and once after final installation. Therefore, stone installed by Creative Stoneworks is unlikely to stain. Heat from pots and pans or burning liquids will not affect granite under normal circumstances. Are stone surfaces difficult to maintain? How often do I have to seal it? Granite, marble and other natural stone products are porous materials and therefore require sealing. Every Creative Stoneworks top is sealed during fabrication and again upon installation. For residential use, we recommend that the surface be cleaned using REVITALIZER, a cleaner and sealer reactivator, designed for use with natural stone at least once or twice a month (however many customers prefer to use this product as their daily cleaner). This product reactivates the sealant used by Creative Stoneworks which eliminates the need for customers to reseal their countertops. A simple solution of warm water and regular dish soap is the perfect countertop cleaner for day to day cleaning purposes. Why should I choose Creative Stoneworks? While our pricing is competitive, we feel that there are other more exciting reasons for choosing Creative Stoneworks. We are focused on providing an amazing customer experience! Creative Stoneworks staff works with each customer to ensure that everything from selecting the stone to laying out the design to final installation is an enjoyable experience. We are a reliable, experienced team of professionals! From helping you make informed decisions on which stones would work best for your project to ensuring your home is tidied up and your stone is sparkling after final installation, our staff will be bending over backwards to make sure your stone installation is the favorite part of your project! We've been in business since 2003. We were here yesterday and we are going to be here tomorrow to help you with any of your stone needs. Creative Stoneworks has a beautiful showroom and shop located in mid Whatcom County. We'd love to have you stop by to see what we offer and check out our top-of-the-line equipment for fabricating slab stone in person. Tours are always available, although we request advance notice for large groups. Our hours are 8:00am to 5:00pm Monday through Friday.